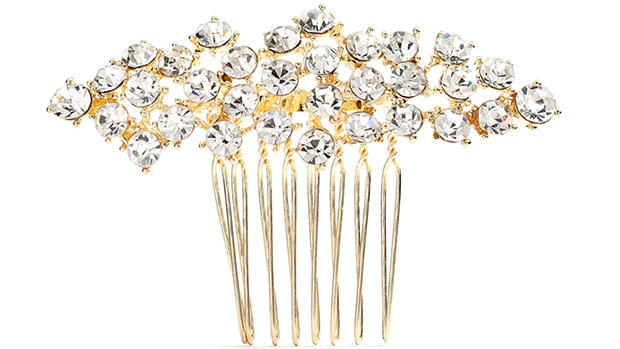 * This top-selling Mariell comb features an abstract cluster of round crystals in an elegant gold setting. * Want to keep it simple but still make a statement? This elegant crystal comb, 3" w x 2" h, is perfect for any occasion, from wedding to prom to a glamorous date night.